For use with 3 burst shot shotguns and single shotguns. Tokyo Marui, Double Eagle, ASG compatible. 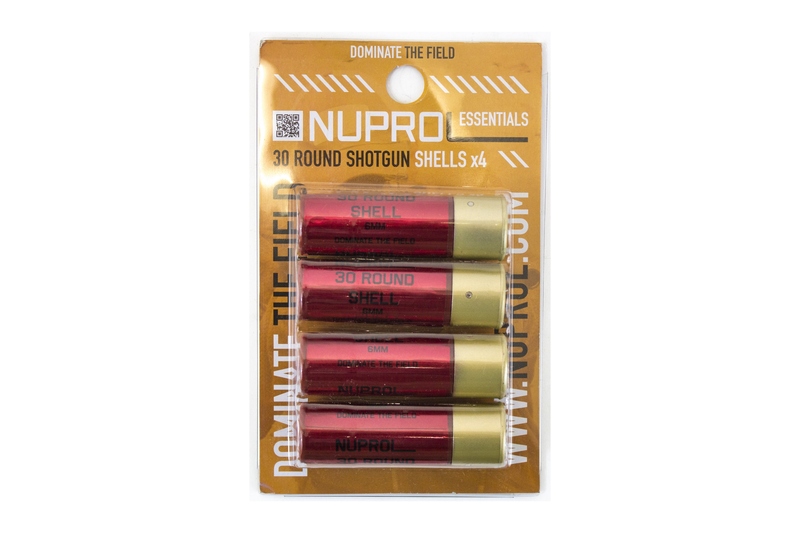 The Shells are constructed entirely from Strong Polymer, and are finished with a Shiny Red Label with NUPROL branding. The shells are easily loaded from the top, by using an Airsoft Speed Loader, by simply pushing the nozzle into the Shell's top hole and filling.